GFI is a specialist US tax, accounting, and consulting services firm, delivering top-tier professional capabilities at 1/3rd the cost. 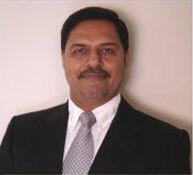 GFI is led by Manpreet Grewal, Ex-Divisional CFO with Dell, Agility, and Asurion. An experienced CFO can take your business to the next level, but hiring a full-time CFO with a proven track record can be very expensive for a small business. With our part-time CFO services, you get top-tier expertise and personalized services of Manpreet Grewal, Ex-Divisional CFO with Dell, Agility, and Asurion to help guide your business to success, at a small fraction of that cost. Improved quality and timeliness of financial information. Liaison with bankers, attorneys, vendors, insurance agents, etc. Our AFO services enable you to simplify and optimize your organization’s accounting workflow using secure cloud computing technology – freeing you to focus on growing your business rather than worrying about your books. Our AFO services are secure, integrated, flexible, affordable, and leverage industry-leading technology. But our USP is our customized collaborative approach of our top-tier team of professionals led by President and CEO, Manpreet Grewal- Ex-Divisional CFO with DELL, Agility, and Asurion. Real tax savings aren’t achieved at just the international, federal, state or local levels – they are realized through a disciplined, integrated approach that anticipates how each tax challenge impacts all others to deliver real savings for your company. To discuss how we can simplify tax and accounting for you.